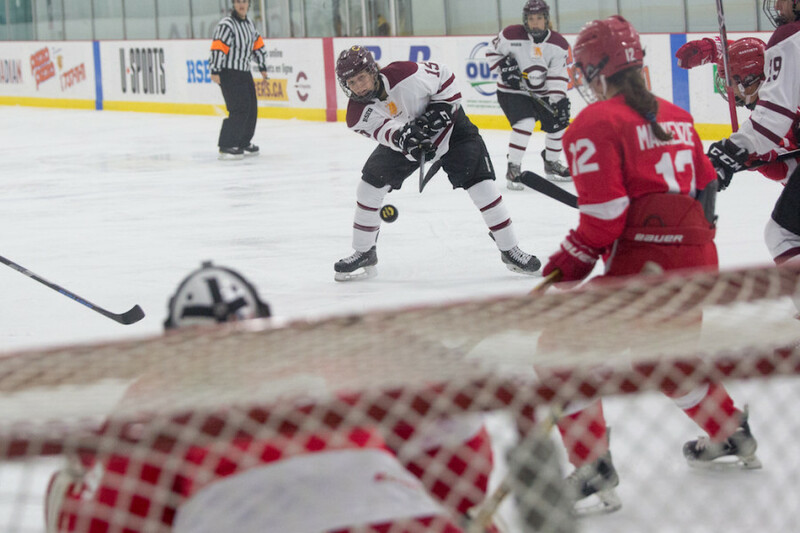 16-8 wasn’t the final score, but it might have been the most important statistic in Sunday afternoon’s game between the Concordia women’s hockey team and the McGill Martlets at the McConnell Arena. 16 was the number of power play minutes the Martlets had to kill in the game. Eight is the number the Stingers—who came into the game with a 3-1-0 record and ranked fourth in the USports top-10 —had to kill. In such a tight game, power plays are crucial, and it was something that Concordia simply wasn’t able to take advantage of. 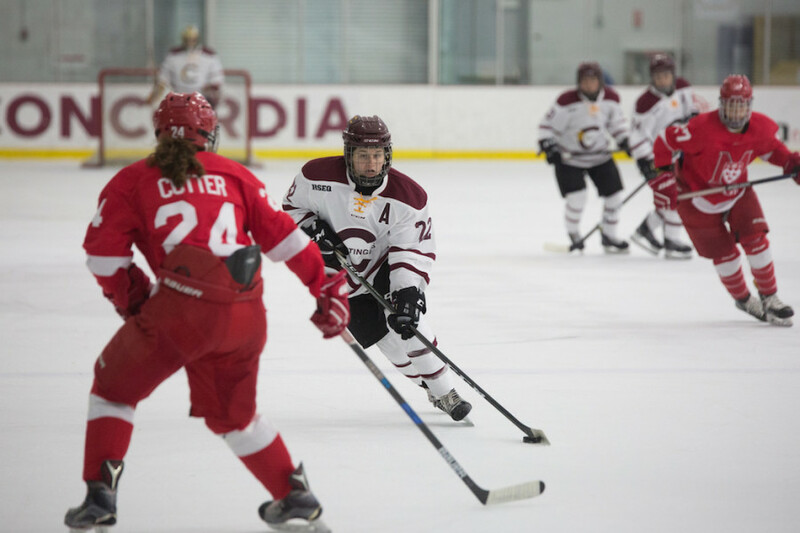 After the Stingers came back from a 2-0 deficit by scoring three unanswered goals in the second period, Concordia defender Caroll-Anne Gagne was called for bodychecking. There were less than two minutes left in the period, and the timing of the penalty was particularly bad. 20 seconds into the power play, McGill forward Olivia Atkinson redirected a shot from Jade Downie-Landry into the net, tying up the game. The third period saw the Stingers have ample chance to regain the lead and potentially even bury an insurance goal. They had eight minutes of power play in the period alone, and were primed to make one count. But McGill goalie Tricia Deguire stopped shot after shot. The ones that did manage to beat her were either fired wide or clanked off the post. Before the Stingers managed to score, an odd-man rush for McGill led to one of their only scoring chances of the period. Unlike the Stingers, the Martlets made it count. Forward Christiana Colizza’s wrist shot found the back of the net to give McGill the lead with three minutes to play. Despite Concordia pulling their goalie during a late power play chance to give them a 6-on-4, they were unable to break through. “It just gives momentum to the other team, and I think it did to us,” he added. The result, disappointing as it was, gave the Stingers some things to think about as they move forward in the regular season. Power play is the glaring issue, but Dubois thinks that getting off to slow starts is another thing they’ll need to work on. Absent from the starting lineup for Concordia was their regular goalie Katherine Purchase. Julie Chu confirmed that her absence wasn’t because of anything serious, and said that the coaching staff has full confidence in all three of their goaltenders. 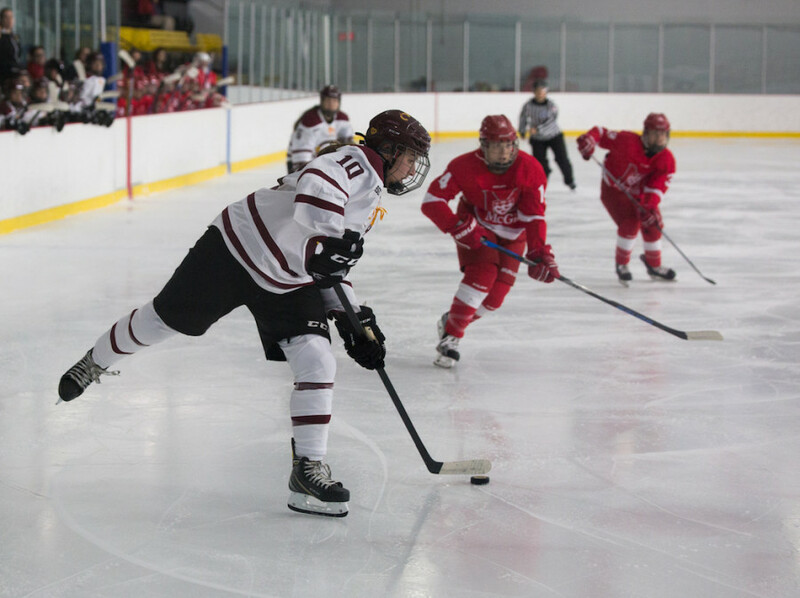 The loss breaks a streak of four consecutive wins for the Stingers and is only their second since their regular season opening loss to the Ottawa University Gee Gees on Oct. 15. The Stingers will be back in action on Friday night at the Ed Meaghar Arena against those very same Gee Gees.